Looking for a way to honor an awesome volunteer in your midst? Do you know a volunteer who has excelled at creating Healthy People, Healthy Environment or Strong Communities? A volunteer who has advanced the work of Race and Social Equity in Seattle? It is time to nominate a volunteer or group who deserves recognition for their contributions to the people of Seattle through Seattle Parks and Recreation! Mark your calendars! Nominees and winners will be honored Tuesday, December 6th at the Seattle Art Museum from 6 to 8:30 pm. Please complete the 2016 Denny Award Nomination Form through Survey Monkey. Also connect with us on our Seattle Parks and Recreation Volunteer Facebook page. 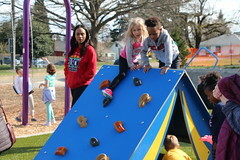 Get Involved with Seattle Parks and Recreation’s 9th Annual Big Day of Play! 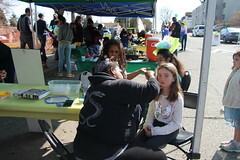 Come make new friends or bond with your family while volunteering! You’ll also receive service hours, food, and a zoo ticket for your time and support. Don’t forget to check out the fun activities that we offer like obstacle course inflatables, rock climbing wall, cultural music and dance presentations, and sport exhibitions for all ages! 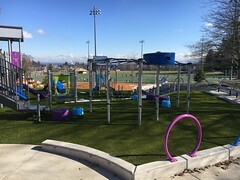 Seattle Parks and Recreation’s 9th Annual Big Day of Play will be held on Saturday, August 13th from noon-6 p.m. at the Rainier Community Center Playfields. For more information and to sign up, please contact Cindy Sandino-Chang at cindy.sandino-chang@seattle.gov or 206-386-1919. High Point Community Center is currently looking for volunteer track and field coaches for their Youth Track and Field program. Practices begin next week and meets begin April 26. The meets are held once a week through May 26. Please contact Shari Watts, High Point Community Center Recreation Coordinator, at 206-684-7422 or shari.watts@seattle.gov for more information. For some, spring break is a time to head to the beach and relax after a long semester of studying. But for 10 undergraduates with the University of Virginia (UVA), spring break is a time to head to Seattle to pick up trash, weed, repair trails and work on other service projects. Participating in the UVA’s Alternative Spring Break program, a diverse group of undergrads, whose majors include Foreign Affairs, Philosophy, Biomedical Engineering, and Drama, spent last week volunteering with Seattle Parks and Recreation. 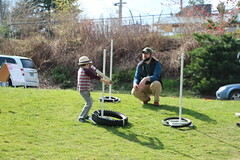 The volunteers worked to remove ivy and plant native plants at Mount Baker Park, clear invasive plants at Leschi Park, maintain the orchard in front of the Amy Yee Tennis Center, cleanup trash at Alki Beach Park, and do restoration work at Dr. Jose Rizal Park. Thank you to all of the volunteers! 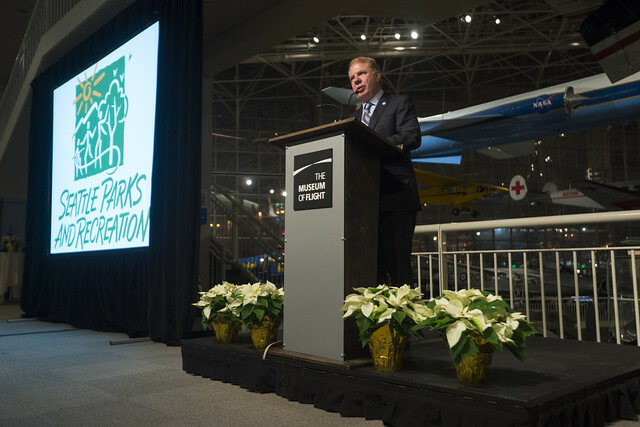 On Tuesday, Dec. 1, we hosted the 2015 Denny Awards at the Seattle Museum of Flight to honor this year’s outstanding volunteers. 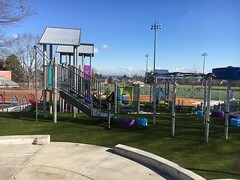 Thank you to everyone who contributed to this wonderful event, and thank you to all of the individuals who donate time to Seattle Parks and Recreation. We could not do our work without you! 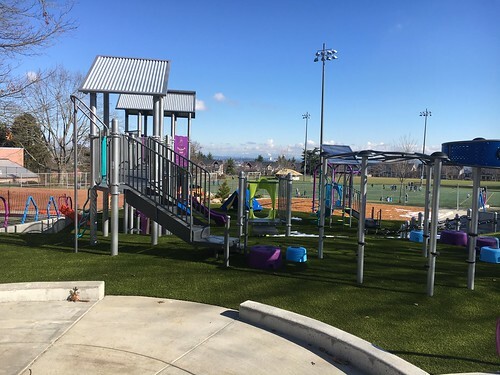 Today Superintendent Jesús Aguirre announced the winners of Seattle Parks and Recreation’s 2015 Denny Awards for Outstanding Volunteer Stewardship. 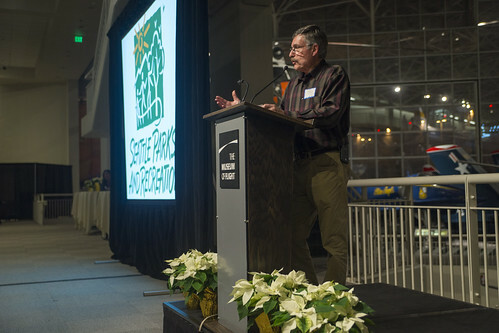 The winners are a cross-section of Seattle’s most creative, dedicated and hard-working volunteers who donate precious time and energy to improving Seattle’s parks and recreation programs. Last year 845 volunteers helped the Green Seattle Partnership plant nearly 5,000 plants in 21 parks across Seattle on Green Seattle Day, and this year, the organization is hoping to do even more. Every year since 2002 a group of volunteer raptor enthusiasts keep their eyes on the sky and complete 10-month study on Seattle’s Cooper’s Hawks. The study was started by Jack Bettesworth and has been spearheaded by Ed Deal since 2012. Deal logged more than 700 site visits between February and October and his group of volunteers logged hundreds more. Deal said the study has three main goals. 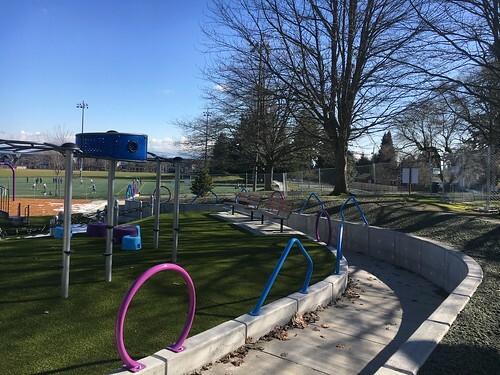 Seattle Parks and Recreation is seeking nominations for the Denny Awards, which honor volunteer service to the city’s parks and recreation system. The deadline for nominations is Monday, Oct. 19, 2015. The awards will be presented at a recognition ceremony from 6 to 8:30 p.m. on Tuesday, Dec.1, 2015 at the Museum of Flight at Boeing Field.